KTM HAS launched a global recall of 1290 Super Duke Rs over a fuel overflow pipe which could be incorrectly fitted, resulting in leaks. The firm says 248 UK bikes are affected and owners can contact an authourised dealer to find out if theirs is one by quoting the Vehicle Identification Number. Repairs will be carried out free of charge. 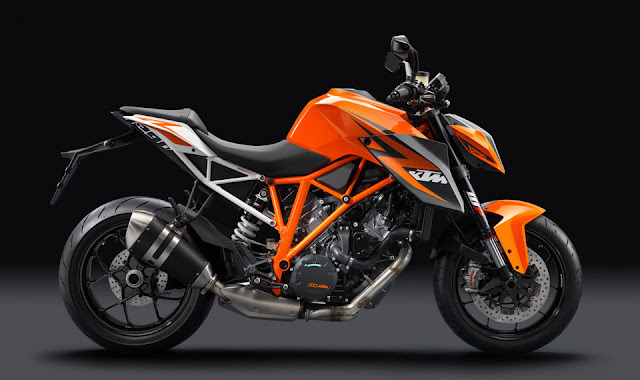 KTM has commenced a global recall of selected 1290 Super Duke R models from the 2014 model year, of which around 248 models from the UK are affected. Due to deviations in manufacturing processes, an internal overflow pipe within the motorcycle’s fuel tank may not be completely enclosed within its plastic sheath and could result in fuel penetrating a threaded insert which could lead to fuel leaking in small quantities. 248 UK motorcycles are affected by this recall and all owners will been contacted in writing for remedial work to be carried at their local KTM dealer. There is no cost to the customer. In the meantime owners can check if their motorcycle is affected by contacting their local authorised KTM dealer and quoting the last 6 digits of their VIN (Vehicle Identification Number).